This module is very flexible and easy to use which allows admin notify the customers about their products which is in the cart via mail. 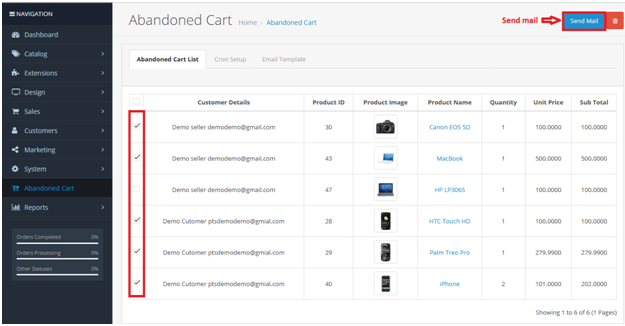 Purpletree’s Abandoned cart Module always a good option for admin to increase the sale and productivity may help generate more traffic. Just by clicking on the send mail button, the admin can able to send mail to their customers. Email template is already created in module. Crone setup is also created in module. Crone means admin can set the time of mail according to days. Admin may manage each product separately. Dedicated sale of their business. Installation of the Purpletree's abandoned cart module is very effortless. Just need to upload the “abandoned-cart-3.x.ocmod.zip” from Extension > Installer > Click to upload button. Need to wait till the process line becomes green. After refreshing modification the file go to the Extensions > Extensions > Module scroll down below. Click to green button to install the module then click to edit button enabled the module. 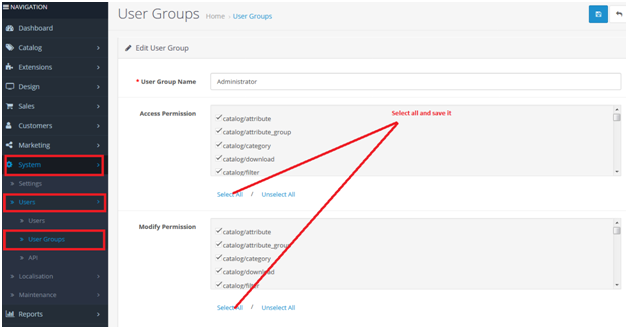 After that, in Admin panel go to System -> Users -> User groups and edit ‘Administrator’ and select all for both Access and Modify Permission then save it. 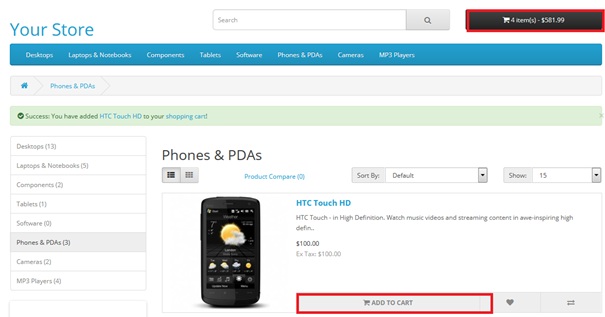 When the customer adds the products into cart simply click to any product’s “Add to cart”. Thereafter, the customer will log in to the frontend and choose a product from the product add th product by clicking “Add to cart” button. In the backend, the admin can see these products inside abandoned cart module. Just by clicking on the send mail button, the admin can able to send mail to their customers. Mail will send to the Customer. Check with whom the admin wants to send mail from checkbox. Also admin can delete the products clicking on red button.